In the rush to rebuild after Hurricane Katrina, Congress told the Corps of Engineers to raise the levees and floodwalls around New Orleans to protect against a 100-year storm. There was one problem: That was weaker than what Congress ordered 50 years ago. As the U.S. Army Corps of Engineers puts the finishing touches on its new, $14.5 billion storm protection system for New Orleans, agency and local officials see the best protection the city has ever had. But some engineers and storm experts familiar with the system’s history see something else. Something less. They see a system that after Hurricane Katrina was downgraded by Congress from one that had to be strong enough to repel the “most severe” storm to one that only had to qualify for flood insurance, a much lower standard. “It’s as if your poorly built, three-story house collapsed, so the contractor said, ‘Ok, I’ll replace it with a well-made, two-story house,’” said Mark Davis, director of the Tulane Institute on Water Resources Law & Policy. “The corps has rebuilt a system to a lower standard of protection than its poorly built system that collapsed during Hurricane Katrina,” Davis said. It lowered the design height of walls defending a city located on a sinking delta during an age of rising sea levels. And it changed the purpose of the system from protecting lives to protecting property – a lesser challenge for designers. 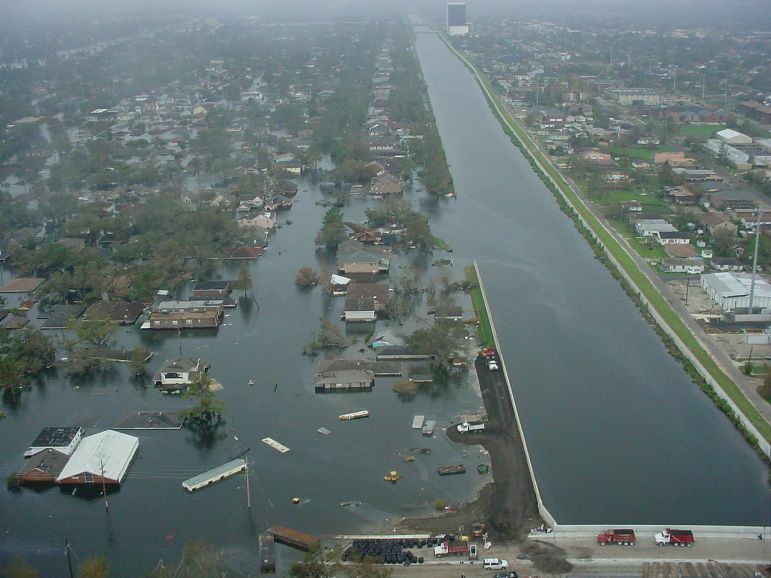 Flooding caused by Hurricane Betsy in 1965 prompted Congress to pass legislation creating the Lake Pontchartrain and Vicinity Hurricane Protection Project — the system of levees and floodwalls ringing the New Orleans area. It’s a story about an agency’s reluctance to change course, a Congress on a budget-cutting mission and a city in a hurry to recover from disaster. 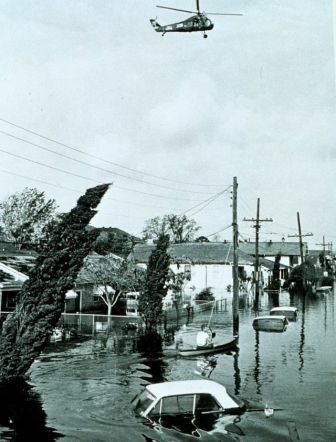 It begins in 1965 when Congress, alarmed by the devastation Hurricane Betsy caused in and around New Orleans, passed a bill authorizing the Lake Pontchartrain and Vicinity Hurricane Protection Project – Public Law 89-298. That language comes from a government report that defined the Standard Project Hurricane, a model storm used by the Corps of Engineers to determine the height of the walls and levees around New Orleans. The corps said such a storm would be so severe it was likely to occur only once every 200 years along the Louisiana coast. The law was amended seven times from 1974 to 2000, but the standard of protection was never changed. 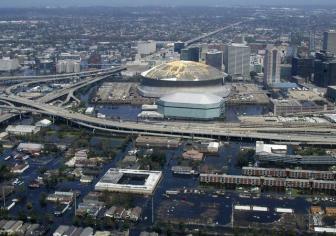 Forty years later, what the corps had built failed during Katrina, suffering about 50 breaches. Most were not the result of levees being overwhelmed by storm surge. More than 1,500 people were killed. Post-disaster investigations catalogued a long list of engineering mistakes and errors in judgment by the corps that contributed to the disaster. One of the most troubling was the refusal by corps officials to upgrade their design as new information indicated that land was sinking faster and storms could be worse than originally predicted. Even when new data increased the threat in the definition of the “most severe conditions,” the corps claimed that the project could continue to use the standard set forth in 1965. That happened at least twice. In 1979 the National Weather Service alerted the corps to new research that showed the Standard Project Hurricane could be worse than previously expected. The corps had originally described the model storm as a fast-moving Category 3 on the Saffir-Simpson scale. In 2006 Louisiana hurricane experts said the increases would make the Standard Project Hurricane at least a Category 4. The corps never bumped up its specifications to account for the increased threat. Indeed, an analysis conducted of project decisions by the Corps of Engineers in 2008 admits this was a grievous misstep, saying the decision meant the system no longer provided surge protection for the Standard Project Hurricane, a 200-year storm. In 1985, the National Geodetic Survey told the corps that a new method of measuring elevation showed that its prior elevations were up to two feet lower than it had thought. Due to subsidence over the years, walls and levees that were supposed to be 14 feet above sea level might only be 12 feet. But the engineer in charge told his staff to continue using the old measurement system because that was the one in use in 1965, when the project was authorized by Congress. Critics have long been frustrated by the corps’ habit of blindly following Congress’ initial orders rather than lobbying for improvements to deal with new information. It’s true, Davis said, that the corps can only act when Congress passes a law and funds the job. But he argued that the agency has the leeway to adapt to changing circumstances. But fellow corps employees, as well as the agency’s 2008 review, said later that they were under pressure to keep costs down and finish projects on time. So they didn’t strengthen the system. Even today, corps officials point to that 1965 legislation as a constraint. Ken Holder, chief of public affairs of the corps’ New Orleans district, said the original system could be built only to “reduce the damage from a specifically selected ‘Design Hurricane’ with the specific characteristics” outlined in the law. 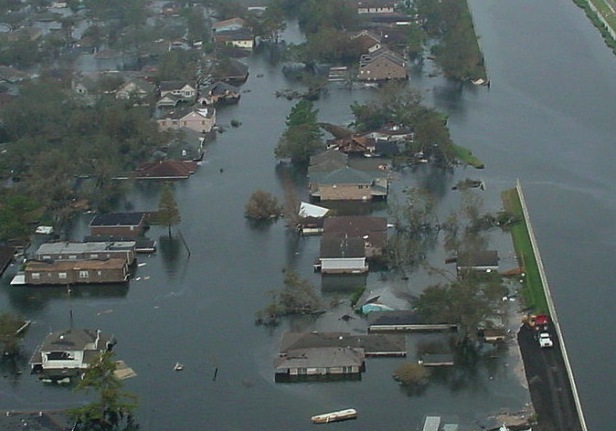 As Congress began looking at rebuilding the system after Katrina, the Standard Project Hurricane gained renewed attention. Considering that Katrina — a Category 3 storm — had destroyed the old system, the city and state pushed for Category 5 protection. But the George W. Bush administration — and some members of Congress — didn’t like the costs. But when Congress authorized the rebuilding of the system two years later in the 2007 Water Resources Development Act, it didn’t mention hurricane intensity or the Standard Project Hurricane. Instead the corps was told to raise walls and levees to the level of protection necessary to participate in the National Flood Insurance Program. Political leaders and others involved in the post-Katrina negotiations say there were two major drivers for the sudden change: money and the urgent need to regain flood insurance. “It was always about money with the Bush people,” recalled Kathleen Blanco, Louisiana’s governor at the time. “Everyone remembers when the president came down and said he was going to make it right, build it back better and stronger. And I think he really meant that. Sen. Mary Landrieu, D-La., was one of the leading voices at the time for Category 5 protection. Her staff declined repeated requests for an interview, instead providing The Lens with a statement that didn’t address our questions. Davis, who was involved in post-storm planning as the head of the Coalition to Restore Coastal Louisiana, said getting insurance quickly was paramount. “There could be no rebuilding or attracting and keeping businesses without flood insurance,” he said. “There was an urgency, almost a panic, over the issue.” Building to the lower standard was not only cheaper, but faster. Local corps officials say the current 100-year system is built to more demanding specifications than those laid out 1965 for a 200- or 300-year storm. Critics agree, but say those improvements don’t measure up to what science now knows would be the “most severe conditions” that can reasonably be expected in this region — storms worse than Katrina. Bob Jacobsen, an engineer who completed an in-depth evaluation of the new system for the local Flood Protection Authority, said there’s “no question” the new system is a lower standard of protection than that 1965 charge demanded. “Now, is what they built a good system, better than what it replaced? Yes, no question,” he said. “But is it adequate? No, not given what’s at risk here. How much higher would the flood protection system need to be to protect against the “most severe storm”? Engineers say it’s hard to quantify. The heights of levees and floodwalls ringing the metro area are not uniform because computer models have shown storm surge levels would be different at each location. For example, some sections of levee along Lakeshore Drive are 16 feet above sea level; others along the Gulf Intracoastal Waterway are 21.5 feet. With that variability in mind, Jacobsen estimated 500-year protection would require an additional 1 to 2 feet along the entire system, without accounting for the added height of wind-driven waves. “If you add in wave conditions, in some areas you might be talking about needing 3 to 4 feet higher,” Jacobson said. The switch to the flood-insurance standard has had another, equally troubling effect, critics said, because a system designed to protect people would be more robust than one built to save property. “In effect, it’s not really a standard that’s been set for safety reasons, it’s a standard that’s been set for obtaining affordable flood insurance only,” said Bob Turner, an engineer who is the regional director of the Southeast Louisiana Flood Protection Authority-East. “The system should be based on protecting what’s at risk, and in a highly populated urban area, that is something much greater than the cost of property damage,” Turner stressed. Current system can be strengthened, but is it enough? The corps and the Flood Protection Authority say the current system can be brought to what is considered a “resiliency level” of 500-year protection – meaning the walls and levees would stand up even if they were overtopped by something stronger than a 100-year storm. This could be done by armoring — with grass or synthetic mats — the side of earthen levees facing the city. But Rick Luettich, a noted storm surge modeler and a member of the local Flood Protection Authority board, said this isn’t the same as building the system New Orleans needs. A 100-year system with resilience added does not provide the same level of confidence as a system built to a 500-year standard, he said. Leuttich and Turner also point to research that shows the onset of global warming is likely to result in more large storms. A recent review of the new hurricane protection system raised many of the same criticisms, including an overemphasis on protecting property, not people. Geographer Ezra Boyd of DisasterMap.net coordinated the report. * He pointed to a study by noted Dutch engineers who said the life and property at risk in New Orleans warrant 1,000- to 4,000-year protection. The Dutch system, in contrast, uses a standard of 10,000 years in vulnerable areas — 100 times more robust than the one nearing completion around New Orleans. Local corps officials said even if they had the freedom to strengthen the levee system, their 2007 marching orders superseded the 1965 instructions. And while that authorization remains open, they said, Congress would have to provide new orders and funding. Davis said the corps’ argument “might be right in a law-school debating sense” but it misses the intent of Congress in 1965, and that law remains on the books. He contends the city should take its case to court to argue that Congress has not lived up to the 1965 standard. The 2007 orders “were a detour, not a redirection,” he argued. As sea levels rise and the city becomes more exposed, people will not want to move to New Orleans, Davis said. 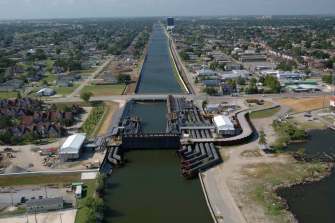 The U.S. Army Corps of Engineers soon will hand over permanent pumping stations at the mouths of New Orleans’ three primary drainage canals. The temporary pumps, which were beset with corrosion for years, will go offline.